A little while ago I read a post by fellow blogger Zeke’s Adventures regarding canine gait (read here). I have been fairly obsessed with this concept ever since and had to explore it more. 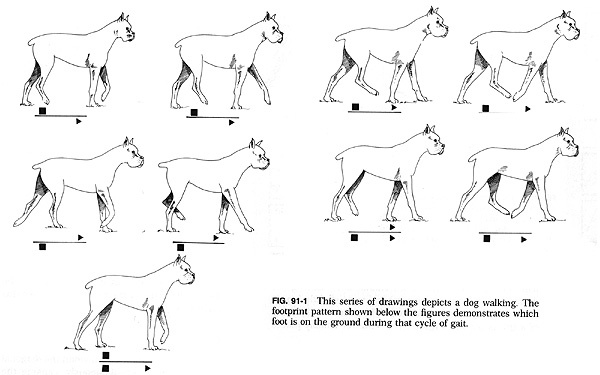 Canine gait terminology is similar to that of horses and falls into three main categories (trot, pace, and gallop) and some subcategories (walk, amble, and canter). First some background concepts. Gait means the pattern of footfalls (pawfalls!) at various speeds. The rhythm and pattern determines the type (name) of the gait. Like horses, the gaits are identified as a two-beat, three-beat, or even a four-beat rhythm as well as the pattern of the stride. This was an important distinction for me as there are several gaits that are two-beat rhythms, but they are completely different because of the stride. The trot is a two-beat diagonal gait where two feet are always on the ground at one time. 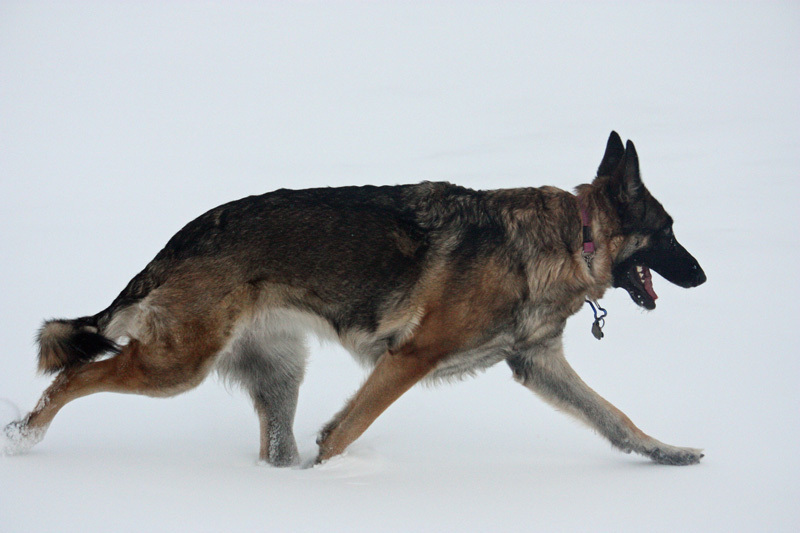 Because the forward propelling legs are on opposite sides of the body, this is considered the most natural, efficient, and most stable gait for a dog. The walk visually looks like the trot but it is a four-beat gait. It is slower than a trot and alternating strides have either two or three feet on the ground at one time. It is the least tiring gait. The amble is a fast walk, still a four-beat gait, just moving faster. The canter again just looks like a trot but it is a three-beat asymmetrical gait. There is either one foot or two feet on the ground at one time with an alternating one step and diagonal step. Perfectly clear, right? The pace is a two-beat lateral gait where two feet are also always on the ground at one time. Because the forward momentum is one side of the dog’s body, it creates a sort of rolling motion. The pace is widely considered a gait used for extremes. That is, puppies and dogs that are obese use it because their muscles aren’t developed or they are not physically conditioned. 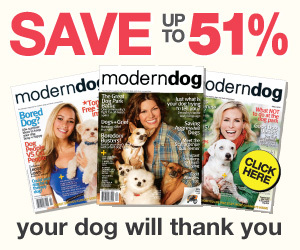 Dogs will generally pace because of fatigue or injury, or for endurance. If your dog normally trots and randomly changes to a pace and is not a “distance runner”, check for hip, back, or leg injuries. The pace is not as stable as the trot as the limbs impact the ground on either side of the center line. 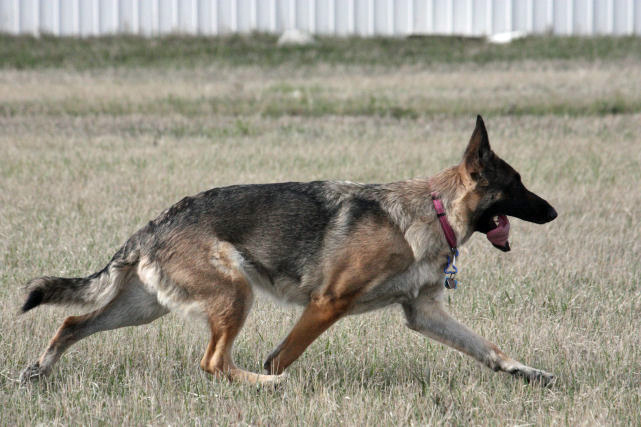 Useless trivia: a pace is a fault at dog shows, only a trot is acceptable in the show ring. There are two types of gallops, the transverse gallop and the rotary gallop or double suspension gallop. The transverse gallop is a four-beat single suspension gait. Two rear legs hit the ground one-two and then the front legs three-four. The suspension occurs between two and three, the second strike rear leg and and the first strike front leg. This is a fast gait, but a fatiguing gait. The rotary gallop is also a four-beat but a double suspension gait. Two rear legs hit the ground (one-two) and then the front legs three-four. The first suspension occurs between two and three, the second strike rear leg and the first strike front leg. The second suspension occurs between four and one when all legs are tucked up underneath the dog before first strike rear leg hits the ground again. This is the fastest but most fatiguing of all gaits. Greyhounds, salukis, cheetahs, etc. use this gait. Reggie trots. Even when running with dad he still trots, or gallops (as opposed to a pace). He walks too, when he is just wandering around. And he gallops- transverse gallops, not rotary gallops. If he canters I honestly wouldn’t know- I found that gait so difficult to distinguish to a layperson. Even in all the pictures and videos I looked at it looked very similar to the trot. I’ll leave the canter to the horse people!